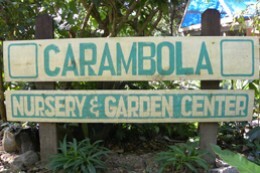 The 100% natural 40 acres of the Carambola Botanical Gardens and their many jungle trails offer a perfect place for hiking, wildlife and scenic photography, eco tours, Professor/student tours, bird watching, nature studies, and of course, relaxation. So, "take a walk on the wild side" and watch the playful Monkey La La scurry along jungle trails as you enjoy flowering plants, orchids, medicinal plants, exotic spices, fruit and nut trees, including the very popular "Chocolate Tree" and the world famous Honduran mahogany tree. Plan to make your way to the summit of Carambola Mountain where along the way you will see an area where nature has provided a near sheer cliff, thus protecting natural Iguana species and parrot breeding grounds historically known as "Iguana Wall". Please input your message or comments.